No trip out West would be complete without a beautiful horseback ride through the sublime Rocky Mountains. Enjoy alpine meadows and lodgepole pine forested trails. 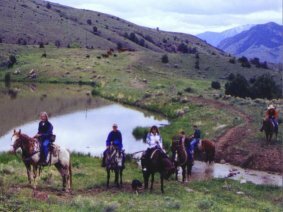 All horseback rides are provided by professional horseback outfitters. One trip included in Basic Package Price.